Digital and social media are turning how we access our news on its head and I’m often asked is it a PR evolution or revolution. The simple answer is it’s both. Digital and social media’s interactive nature is having a huge impact on the way news is delivered and in online advertising. Many newspapers are finding this out the hard way at the moment but many businesses are embracing the digital age as they look to new and cost-effective ways to market themselves. 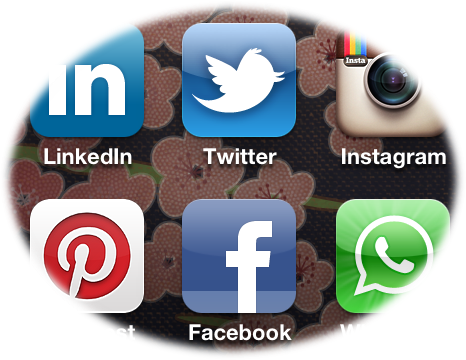 At a recent presentation I delivered to 38 SMEs on the importance of a digital presence, I was surprised at how many start-ups had already started to use social media as a cost-effective marketing tool. They are already using the likes of Twitter and Linked In to great effect – something which we at Bridge PR have long been advocates of. So yes, the revolution has started as SMEs evolve their marketing approaches. By defining their marketing mix, which includes social media, digital PR, traditional PR and search engine optimisation, businesses, however small can make real inroads in creating their brand identity and raising their profile. Many have made a start and our aim at Bridge PR, as one of the of the forerunners in helping businesses with new media and new media training, is to help them make the most of these new marketing tools which can give them a more competitive edge without breaking the bank. A host of new Coventry and Warwickshire SMEs have been finding out how social media can help kick-start their businesses. Around 40 start-up businesses from the region attended a presentation from experts at Coventry-based Bridge PR on building their digital presence to help succeed. The Coventry and Warwickshire Chamber-backed event at the Brooklands Grange Hotel, Holyhead Road, heard from Bridge PR’s commercial director Denise Taylor how social and digital media tools could help build their brand identity and raise their profile. “Digital and social media are turning how we access news on its head and companies need to look at how they fit these tools into their overall marketing strategies to create their brand indentities and raise their profile. New customers are the lifeblood of small and medium-sized companies but staggeringly nearly half don’t know how to market themselves effectively. The Barclays Local Business Survey, launched with The Times earlier this year, revealed that 44 per cent of the survey’s 3,675 respondents said marketing was the skill most lacking in their business. And that can cause a major problem for SMEs struggling to survive and claw their way out of the recession. So where do they turn for cost-effective help to get themselves noticed by the widest possible audience? Our approach at Bridge PR goes beyond the traditional realms of public relations, using the most sophisticated tools to help clients maximise their potential. As is often the case, keeping up with, and keeping on top of technology achieves the best results. Digital marketing is emerging as an increasingly important tool across a range of industry sectors, with the internet opening up host of opportunities for business owners to access wider markets. 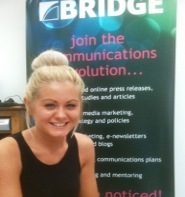 Bridge PR is leading the way in helping clients nurture social media and digital marketing to get noticed. With our expertise and as an established member of Business Link, we are ideally placed to provide information on funding opportunities available to companies to market themselves better in the digital world. Business Link’s Director Development Programme (DDP) is awarding £500 to firms with five or more employees (but it’s up to a total of £1500 if you put in £500) and we are providing PR and Social Media courses and strategic plans for directors to develop their businesses. Through our courses, we are helping even the smallest companies embrace the internet and tap into new opportunities. With more than 70 per cent of the UK population now online and spending an average of 33 hours a month surfing the internet, the opportunities for business are clear and Bridge PR is ideally placed to help SMEs seize them and emerge stronger from the recession.